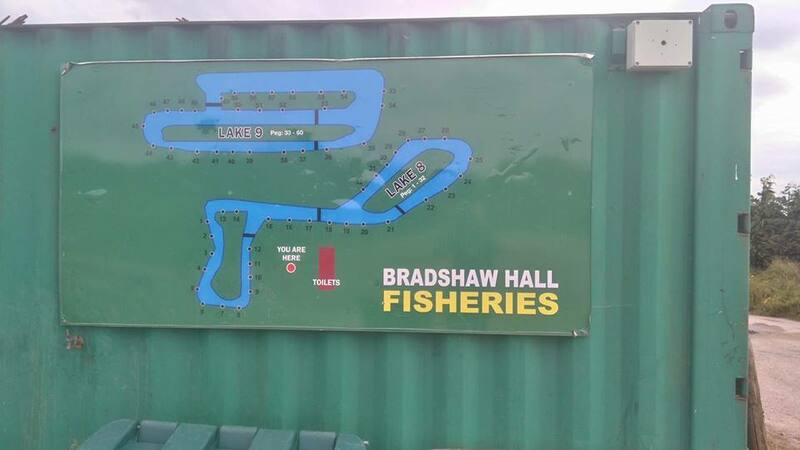 Today was the first round of my winter league at Bradshaw’s fishery and old hough but with a few thing’s going on at home I really wasn’t in the right frame of mind, but I forced myself to go because the longer you put thing’s of the harder they become. My day didn’t start that well because I was late up so no time for breakfast, on arrival at Bradshaw’s I made my way round to lake five and had a quick look at the pegs in the draw because I hadn’t seen this lake before. 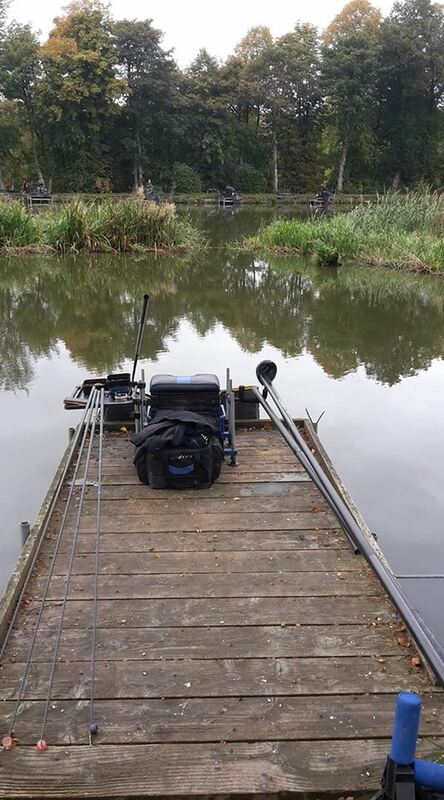 At the draw I pulled out peg 22 which I got told was ok but I was up against the better pegs on the split , yet again my expanders had split and as this was my main bait it was going to be a long arse day but it was my fault because I knew they were dodgy. Started my match by picking the decent expanders out of the mush and tapping in micros at 6m, I began catching the odd f1 and skimmer but the bait just wasn’t right as I kept missing bites plus constantly shipping in and out when the hook bait fell off. After an hour I put in a new swim at 8m towards my right and this time used banded 4mm pellets but I knew it wouldn’t be right for the small f1’s, unsurprisingly I was struggling to connect with the indicators and after a couple of hours I was on the verge of packing up and going home. I decided to fish my long 16m swim towards the reed’s and I began tapping in 4mm pellets with a hard 4mm on the hook, this produced a few better stamp fish and when I began getting liners I tried shallow which I didn’t really expect to work at this time of year and it really turned my match around because for 90 minutes I was getting one a chuck even though I had to fight against the blustery wind. With 90 minutes remaining the bites tailed off and the fish got smaller and I should have switched swims straight away but spent another 30 minutes on it putting next to nothing in the net and it was only when I trashed my rig did I change lines. 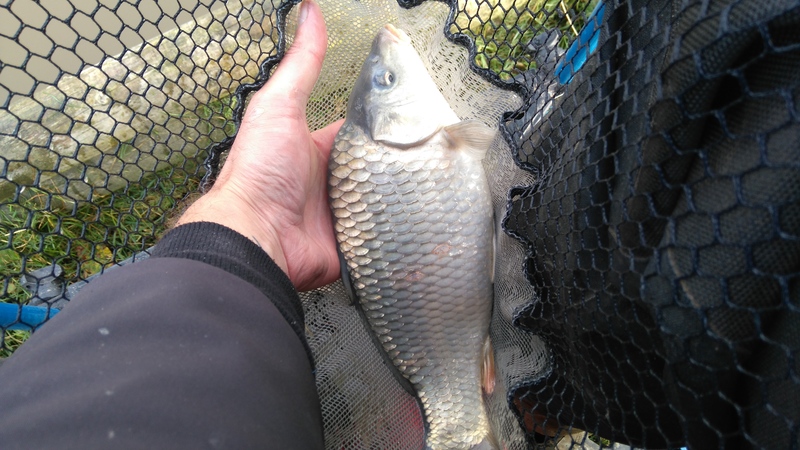 I went back on my original 6m swim and my expanders had dried out enough for me to hook them properly, I then had a really good last hour of the match catching some big f1’s and 3lb carp. At the all out I ended up with 58lb for 4th in the match but with only 72lb winning I should have comfortably had that if I had done a few things better, but as it was my first match since April I was always going to be a bit rusty and I’m still not sure if I can get my spark back.